This article was written by Chris Teeling and edited by Scott Hollenbeck. All 1968 428 Cobra Jet Mustangs were equipped with a ram air system installed as standard equipment. Although all of the pieces used in the system were basically the same, at least three different revisions were made between April 1968 and the end of production in July 1968. 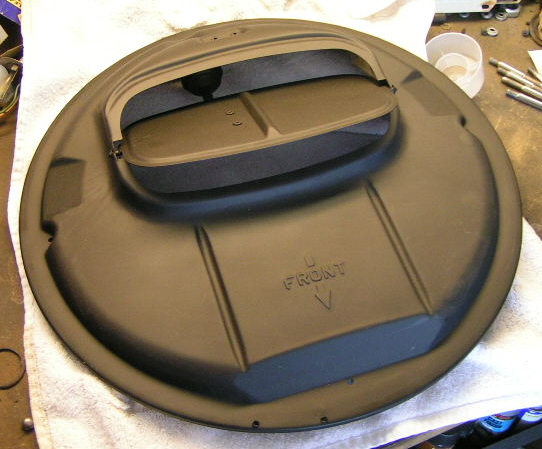 The four main parts of each air cleaner are the base and snorkel assembly, an inner lid that holds the filter in place, a cover that includes a flapper door and vacuum motor, and a neoprene foam rubber ring that sealed the cover to the underside of the hood. 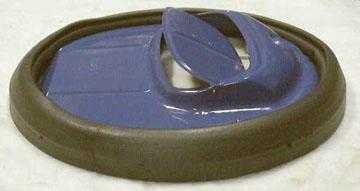 The following pictures are top and bottom views of the production 1968 428 CJ Mustang GT air cleaner base. The area on the base inside the air filter and the underside of the lid should be painted black (we’re still researching the exact color and formulation) with overspray. 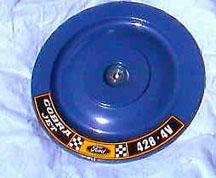 This air cleaner base is the same for all production 1968 428 CJ Mustang GTs. Note that there is only one dimple for carburetor float level adjusting nut clearance. 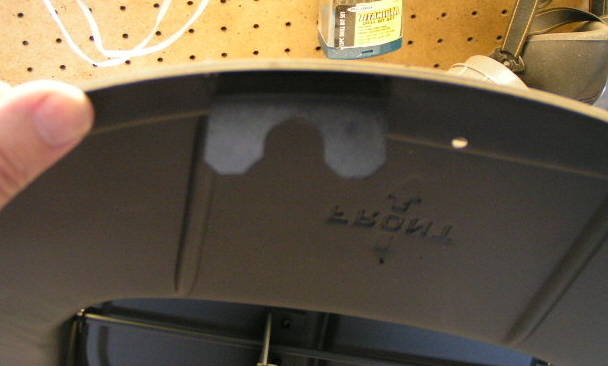 Some later 1969 and 1970 ram air cleaner bases have a dimple for both the front and rear adjusters. At least some of the bases appear to have been made by the Republic Steel Corporation of Chicago. 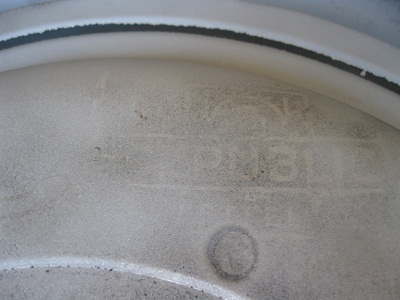 A maker's mark (image courtesy of Kerry Wortman) may be visible on the part if the paint is removed. 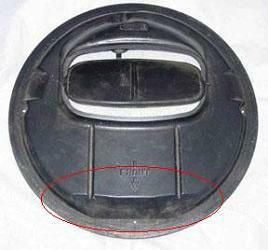 The inner lid used to retain the air filter is common to all 428 Cobra Jet ram air cleaners including the shaker. 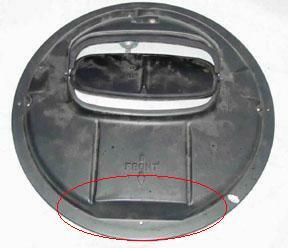 There usually was no decal attached to the inner lid, the one shown here is not correct for this part. The top cover of the 1968 ram air cleaners was revised at least three and possibly four times. The first version was installed on initial Mustang GT production vehicles. This air cleaner assembly carried Ford P/N C9ZA-9600-A. Based on build sheet information, it appears that the -A air cleaner was installed in pre production Mustangs beginning in March and production vehicles built between April 15th and early May in 1968. A picture of the top cover from this assembly is shown below. Note that the color of the -A cover assembly is blue rather than black. Early road test articles (August 1968 Super Stock, September 1968 High Performance Cars, and November 1968 Rodder & Super Stock Magazine) show this blue top cover assembly on early Mustangs and Cougars. I am not certain but I believe that the -B assembly is identical to the -A except that it was painted black rather than Ford Blue. The color was probably changed because the blue cover could be seen through the opening in the front of the hood scoop and stands out in contrast with the black stripe and scoop. We do not have any build sheet information from cars built with the -B assembly. If anyone has a build sheet that calls for a -B air cleaner please contact us. During the month of May, Ford began a gradual transition to the C9ZA-9600-C air cleaner shown here. Build sheets indicate that Mustangs produced in mid-May could have either the -A or -C units. Those built during the last week of May and later received the -C. The introduction date almost certainly varied depending on supplies and production at each of the assembly plants. 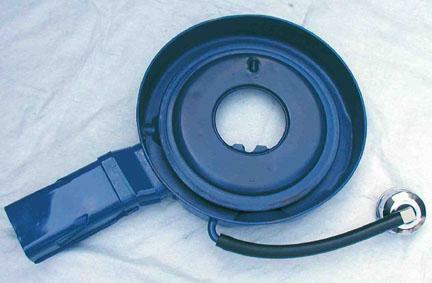 The -C revision included a horseshoe shaped clip spot welded to the cover as shown here. 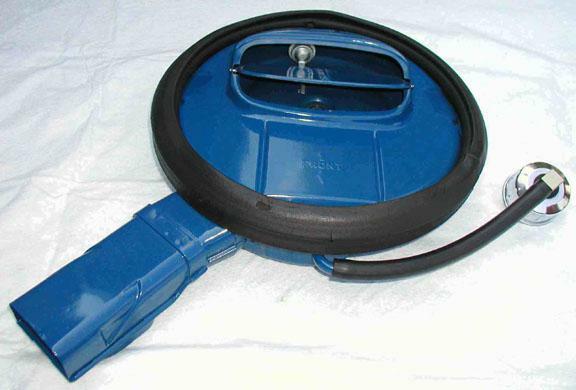 This -C air cleaner top still retains its original vacuum motor dated 6-68. When the cover was placed on top of the base, the "U" shaped slot in the clip fit over the air cleaner breather tube elbow and prevented the top from rotating due to engine/road vibration. 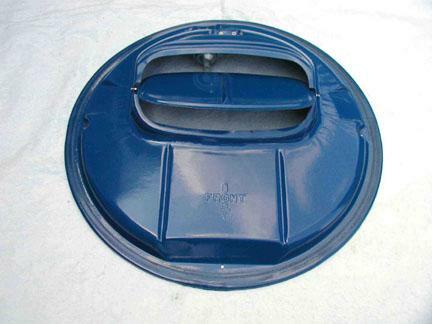 The last version of the air cleaner top is normally found on 1969 Ford Torinos and Mercury Cyclones with ram air. The modifications were extensive and not all are noticeable without looking carefully. It appears that the die used to stamp the top cover was changed to eliminate the stretch marks noticeable on both sides of the -A cover in the flat area beside the flapper opening. This change reshaped the entire opening for the flapper door. The door area was rounded and more draft angle was added to the sides. Two side bevels were added to the front of the cover. The bevel on the -A, -B, & -C covers stops at the front to rear reinforcing ridges while on the late cover two smaller bevels were added outboard of the ridges (see pictures below). The last item is the rubber ring that sealed the air cleaner to the underside of the hood. 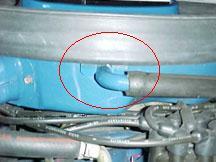 Early Ford press releases show some different versions of the air cleaner to hood seal but all production 1968 428 CJ Mustangs appear to use the one shown below. 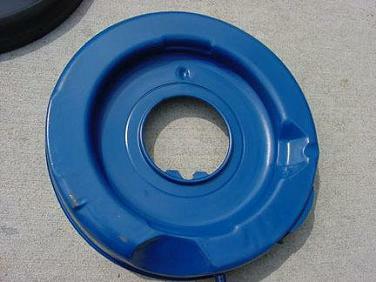 This seal is constructed from a neoprene foam extrusion with the ends glued together to form a ring. 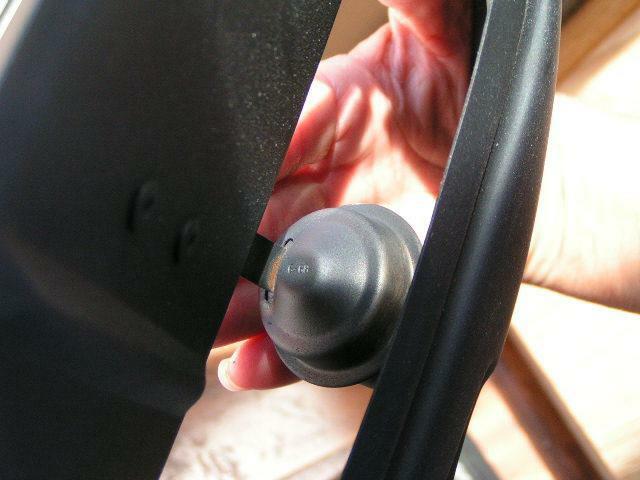 There is a lip on the bottom of the ring that captures the rim of the upper cover for support. There is a hole punched through one wall of the seal to allow the hose for the vacuum motor to pass through it. The cover and seal then "float" on top of the air cleaner base.